It's time for SRC again! Each month, we're paired with another blogger, and we get to pick a recipe from their archives to make. This month, I got Suzanne's blog, Thru the Bugs on My Windshield. As usual, I had difficulty picking out a recipe. She had recipes for Cipollini Onion and Potato Pie, Southwestern Frittatas, and Rosemary Roasted Potatoes. However, I ultimately chose to make the Tomato Salad. Light, refreshing, and quick is just what I need these days! I didn't add in any olive oil, salt, or sugar to this recipe since I didn't think the tomatoes needed it. I also used a red onion instead of a sweet onion and dried basil instead of fresh. (It was all I had, but I do think fresh would improve this salad.) I did not sprinkle any cheese on top, since it wasn't in the recipe, but like Suzanne, I think it'd add another dimension to this tomato salad. Soak it up with some crusty bread or simply enjoy it on it's own! What's your favorite refreshing salad? 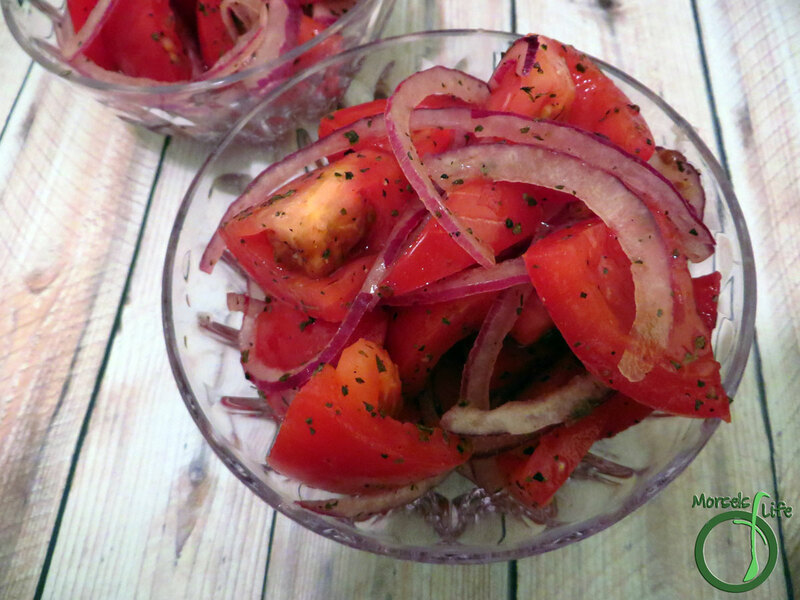 A quick, light, and refreshing tomato salad with red onions and basil marinated in white balsamic. 2. Combine all materials, making sure everything is well coated. I just wish I had some beautiful fresh tomatoes so I could make this salad. Pinning this for next Summer. Great SRC choice. CJ happy SRC reveal day, I loved making your cookies! This looks delicious and oh so healthy! It would work well as a filler for a wrap sandwich, too. Simple and refreshing - love it! I would do this with summer tomatoes...and put it over cottage cheese for lunch! This dish just sings out SUMMER! I'm ready to enjoy it with fresh basil as a topping for garlic-rubbed slices of just-grilled bruschetta... and Roma tomatoes will do just fine until locally-grown beauties hit the Farmers' Markets. Beautiful salad. Can't wait till summer! I can't wait until tomatoes are in season to try this salad. Newest member of SRC! Saving this for when my tomatoes come in! Simple and delicious - doesn't get much better than that! Great choice! Oh, I so love this!!! It is one of my favorites and yours is outstanding! The photos are scrumptious and I love that you used the red onion. 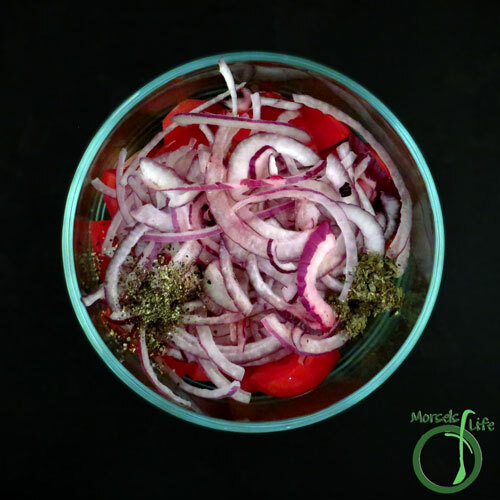 I have a very hard time finding good red onions here, but they are certainly more beautiful than plain old white onions. Thank you so much for your kind words! Using this salad in a wrap sounds like a great idea! 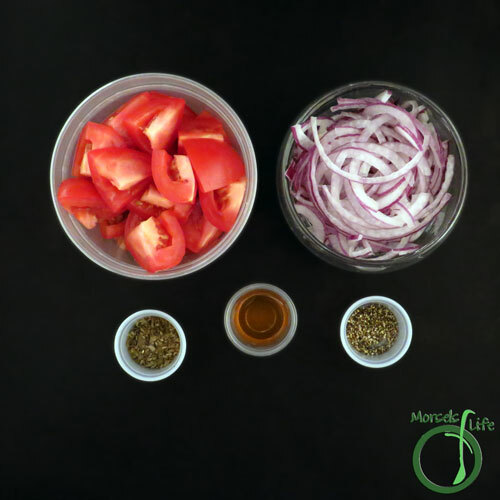 I can just imagine this salad with the fresh tomatoes of summer! 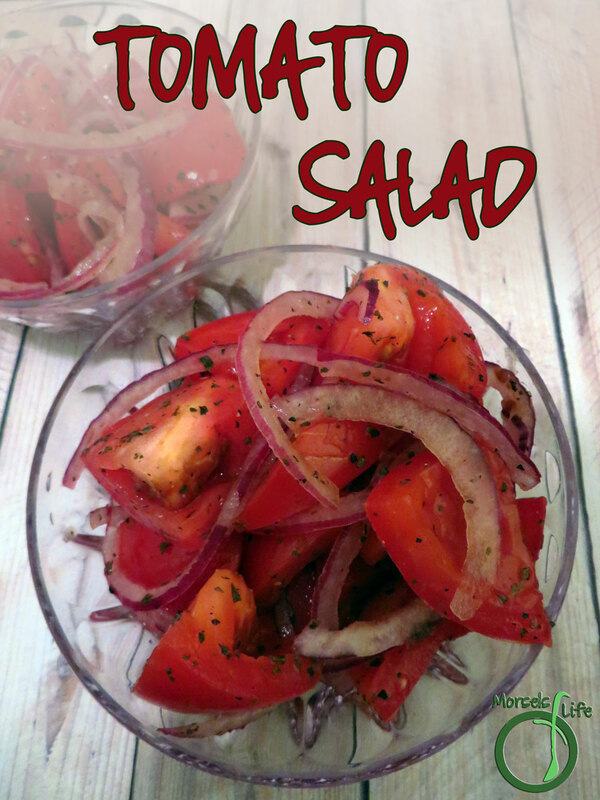 I LOVE tomatoes and used to make a salad similar to this often, until I had to give them up due to my gerds. :( Yours looks delicious. THANK YOU for sharing with us on the Friday Frenzy link up, and we hope you'll join us again this week! CJ this looks AMAZING!! I'm going to have to try it this week! 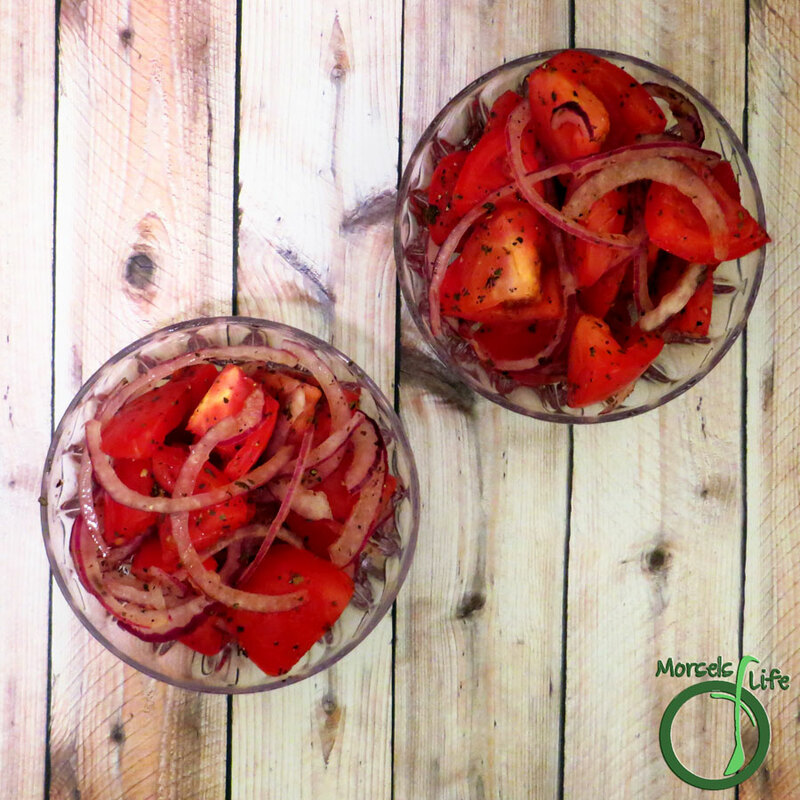 Definitely a yummy and refreshing summer dish!